A pop star is essentially a brand, and with every tweet, retweet and @reply he or she is building that brand in the eyes of his or her followers. But on Twitter, like the genre of pop-music itself, there are some artists who do it because they can and some who choose to do it right. Here are five pop music artists who are doing it right and rocking Twitter in the process. One of the advantages of growing up a Disney star is that you really get to know who your audience is, which is a very important factor in social media engagement. Demi Lovato does a good job of addressing and engaging her 5 million strong audience with every 140-character tweet. Many marketers forget that by definition, social media is social and that you shouldn’t use it just to broadcast messages. 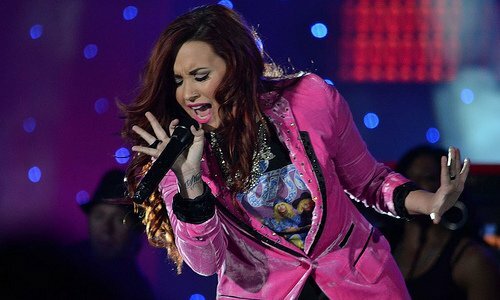 A best practice is to do what Demi does best — listen and respond to your audience. Demi routinely engages her followers by asking then questions, giving them calls to action, and acknowledging and responding to fans. Here are some great examples — though we’d recommend avoiding excessive punctuation or all caps if you want to keep your brand looking professional. As you may be able to tell from these examples, Demi Lovato is also very consistent with her messages. As a result, she gives her audience what they want and they continually ask her for more. The first thing you’ll notice about Sara Bareilles’ Twitter account is that her handle is her full name, so she’s very easy to find. She engages her audience on Twitter with frequent, consistent, personal and pointed posts. Her Twitter profile picture even shows her stance on a recent political debate. What Sara does best is establish her voice. Whether she’s talking about music or personally musing, she remains consistent in her messaging. Her style attracts an audience that, for the most part, agrees with her point-of-view and pushes forward her messages through retweets. 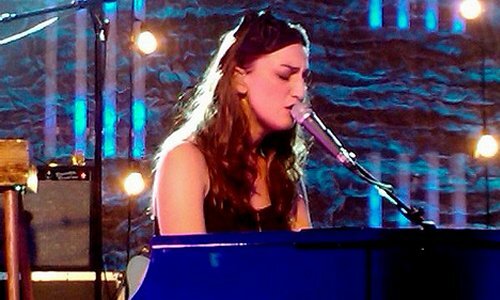 Sara Bareilles has used Twitter effectively to convey an inside story of her life, not only as a pop star, but as a person. In doing so, she’s created a very loyal audience and a trusted personal brand. This style of tweeting not only builds trust from his audience of 7 million followers, it also exposes him to an even wider audience. Someone following a popular hashtag and who’s not following Bruno might see him using the hashtag and decide to follow him as a result. If he doesn’t get a follow, he might gain a click-through to his website, which is prominently displayed on his profile. Either way, he leaves an impression with his fans and fans-to-be! Mariah does a great job of cross-promoting her brand by prominently displaying links to all her social networks on her Twitter Brand Page. She displays the links both on a personalized banner above her tweets, and again in a personalized background on her Profile Page. She also engages her audience by offering her audience incentives for following her. Recently, she hosted a contest through her Twitter account and followed the responses through a personalized hashtag. When the winners were chosen, Carey acknowledged them personally by making an announcement on her Twitter feed using her personal hashtag and retweeting their reactions. An article about pop-stars and social media wouldn’t be complete without mentioning Justin Bieber. In fact, Bieber became a pop-star because of social media; he was discovered on YouTube. Believe it or not, Justin Bieber has a perfect Klout score of 100 points. That’s mostly because Klout measures social engagement, and most of what Justin does on Twitter is talk to his fans. Almost every tweet in his Twitter feed is a retweet or @reply to a random tweeter that has positively mentioned his handle somewhere out in the Twittersphere. 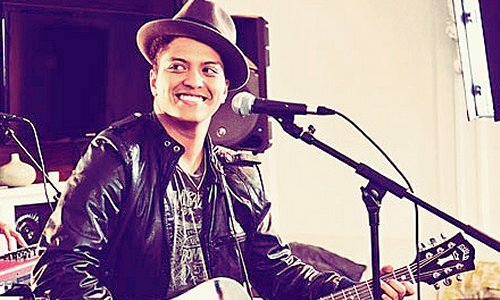 He stays true to his profile description: “I GOT SO MUCH LOVE FOR THE FANS… you are always there for me and I will always be there for you.” As a result, his fans clamor to engage with his brand, hoping to see their Twitter handle publicly acknowledged in the same place as those of his famous friends. Whether you’re a pop-star like those mentioned above, or you’re simply a business owner tweeting on behalf of your business, the same Twitter best practices apply. Engage with your target audience, post frequently in a consistent voice, and join in on conversations in progress. All these strategies help to complement your offline activities and build a trusted brand. Do you follow pop musicians on Twitter? Who are your favorite pop music tweeters? Let us know in the comments!